About UNIGLOVES (UK) LIMITED - Products, News and Contacts. 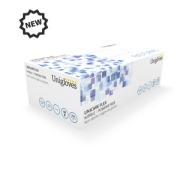 Unigloves is a market-leading manufacturer of innovative, high quality single use gloves, designed to protect workers across a range of workplace sectors. With a worldwide team of over 600 people and 3 manufacturing plants, Unigloves produces and supplies billions of pairs of gloves to more than 50 countries around the world annually. With a highly experienced team and offices based here in the UK, Unigloves focuses on creating hand protection solutions with its dedicated “Safety Through Quality” approach. - https://unigloves.co.uk/sectors/automotive/ - The new PRO.TECT Range features three silicone free, nitrile gloves to meet increasing demand for silicone free manufacturing environments, making them ideal for painting or bonding applications, removing the threat of glove-borne paint contamination and expensive re-working. 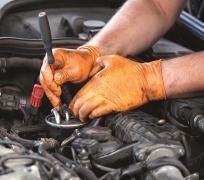 Designed to be stronger than standard single use gloves the PRO.TECT Range is more durable products are also chemical resistant to protect against paints, oils, grease and other automotive fluids that are encountered in 1st and 2nd tier automotive manufacturing and aftermarket care and repair. Available in standard cuff and extended cuff variants, they are also offered with raised grip pattern, which enhances grip and handling in wet and oily applications. - https://unigloves.co.uk/sectors/food-manufacturing/ - The specialist Unigloves range for the food industry is designed to offer a wide range of weights and cuff lengths for a variety of applications from food production, food preparation and serving. Innovative solutions include Fortified - https://unigloves.co.uk/products/glove-ranges/fortified/ – Europe’s first Nitrile Antimicrobial Glove and the Pearl range - https://unigloves.co.uk/products/glove-ranges/pearl/ - available in 12 colours allowing colour co-ordination in line with individual requirements. Across the rest of the range, food compliance to EU requirements is assured. - https://unigloves.co.uk/sectors/healthcare/ - The Unigloves range for the healthcare sector is extensive and is designed for a broad range of single use medical applications. Covering everything from handling cytotoxics to medical examinations, these products are fully compliant with medical device regulations and where applicable, chemical resistant standards as well. Available in latex, nitrile and vinyl as well as standard cuff or extended cuff variants. - http://select.black/ - The Select Black line of chemical resistant gloves by Unigloves are a leading range of black, single use gloves, designed to offer protection against the various biological and chemical hazards encountered during tattooing and body piercing. The textured surface of the glove offers a more secure grip especially when working in wet conditions. 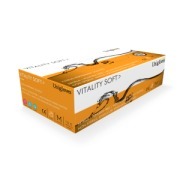 - https://unigloves.co.uk/sectors/dentistry/ - The Unigloves Vitality range for the dental sector is designed with both practitioners and patients in mind. Repeated glove use over short time frames can lead to a lack of moisture and oils in the skin. Formulated with a unique lanolin and vitamin E coating on the inner surface, the Unigloves Vitality range help address the issue.